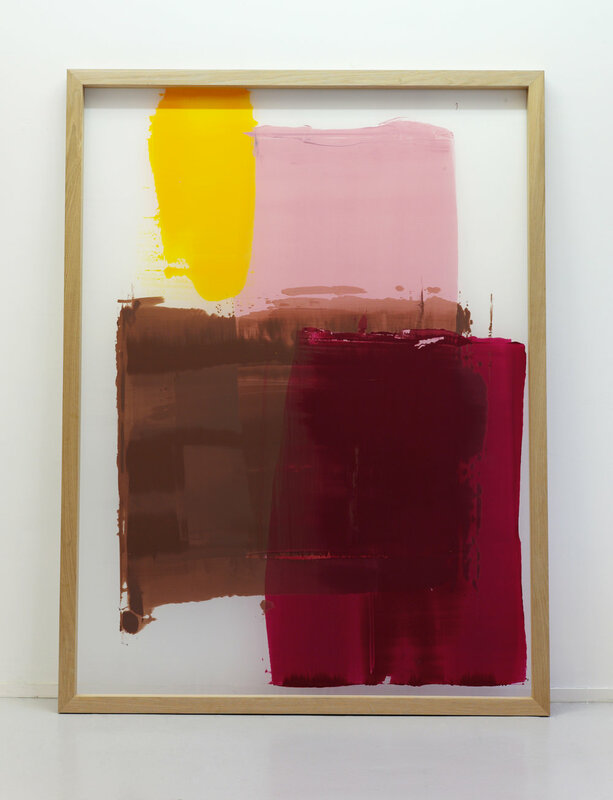 "In After The Masters, Vilde Salhus Røed has reconstructed silkscreen frames in a way that mimics what they might have looked like after being used by other artists. She has coated several layers of ink in the frames and let to dry, as well as printed without motifs from the screens, and without washing away previous layers of ink between each printing. 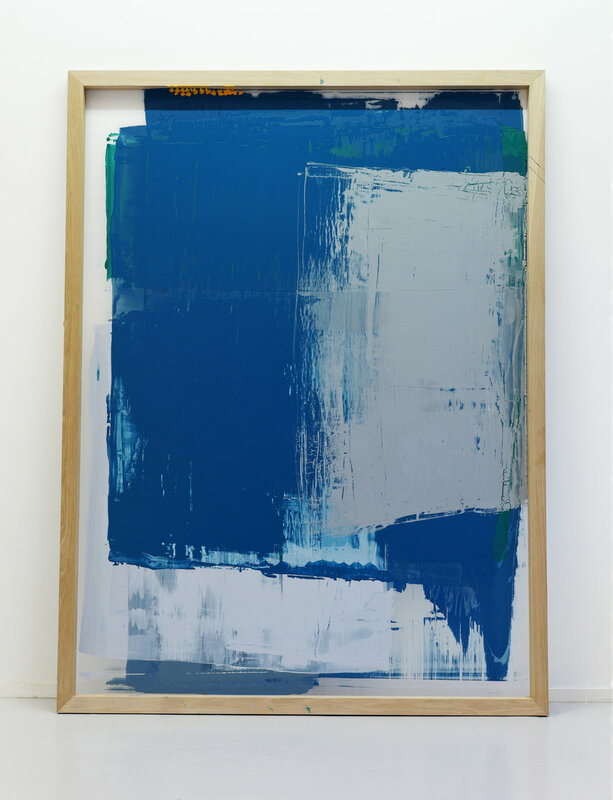 The large frames contain traces of the silkscreen process, but without references to the artist or the art work it´s attempting to look like. After The Masters is a reconstruction of silkscreen frames in the way Salhus Røed thinks it must have looked like. 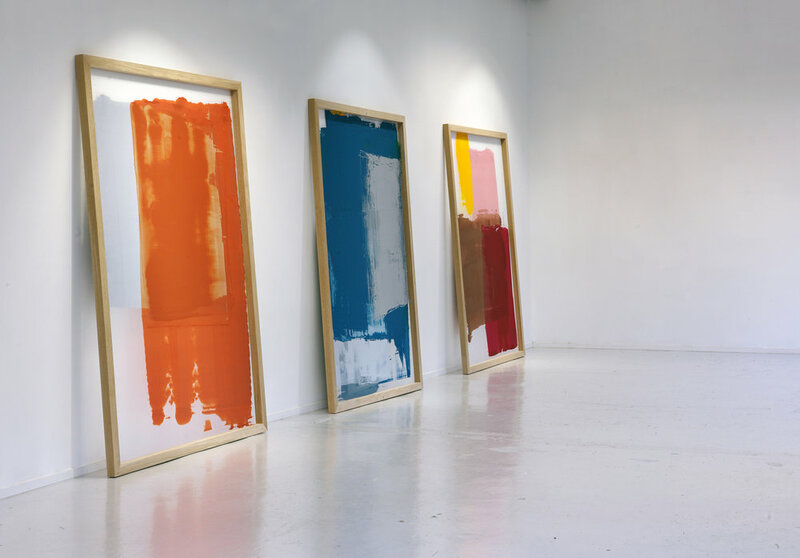 Even though the silkscreen frames look abstract, they make up the concrete expression of the process involved in the production. The focus on process and materiality has been the starting point for several of Salhus Røed´s photographic projects, and in After The Masters she has transferred this way of working to screenprinting; a technique in which she has little experience to begin with. Salhus Røeds´ works are often based in photographic challenges, where archive and recycling of material make up key elements in several of her projects. In After The Masters she is going a step further; the works make up the reconstructions of frames and prints as if she had found them."